Portugal is lying at the western end of the Iberian peninsula in the south-western part of Europe. While once it was considered one of the poorest countries in western Europe, now it has become a prosperous tourist destination for many world travellers. Now, it can be the greatest value for money because it provides a magnificent landscape diversity, rich and unique culture, cheerful cities and scenic countryside. Portugal charms with its medieval castles, rural areas with cobblestone streets, lovely cities and stunning beaches. An ideal choice for anyone…from history lovers, food lovers, to nature lovers. Plentiful history, delicious food and picturesque landscapes are just the beginning of the Portugal experience. Flights to Lisbon, Porto and Faro are available from all over Europe and even some cities in the US. Those travelling from outside Europe can find cheaper flights if they book in advance and fly via London. If you decide on a pricier holiday and are considering a vehicle, you can visit France or Spain, and then get on a ferry or a rail to Portugal. Air, train and ferry fares vary, depending on the season. For example, if you are planning to travel during school holidays or summer season or national holidays such as Easter, Christmas, New Year… it’s quite understandable that the prices would go up. Budget companies usually offer the cheapest flights from the UK or Ireland, but be wary of possible, additional charges such as airport taxes, checked luggage, or seating changes. Flight duration from the UK or Ireland to Lisbon, Porto or Faro airports is about 2-3 hours. Budget companies such as EasyJet, Ryanair, Aer Lingus, Monarch Airlines usually offer the cheapest flights. Please note that not all routes are regular. 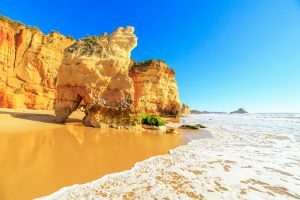 Some may operate during the summer only (such as Faro on the Algarve), whereas others may have reduced winter price (such as Lisbon or Porto). Those travelling directly from the US or Canada need to get to New York to fly to Lisbon. Flight companies that offer these services are United Airlines, Lufthansa, or TAP and the flight duration is about 7 hours. Flights from Canada to Portugal can be booked via SATA or Air Canada, yet again you need to get to Toronto. The flight duration is about 7-8 hours. Why Choose a Holiday in Portugal? Everyone seems to be considering Portugal as a popular tourist destination. 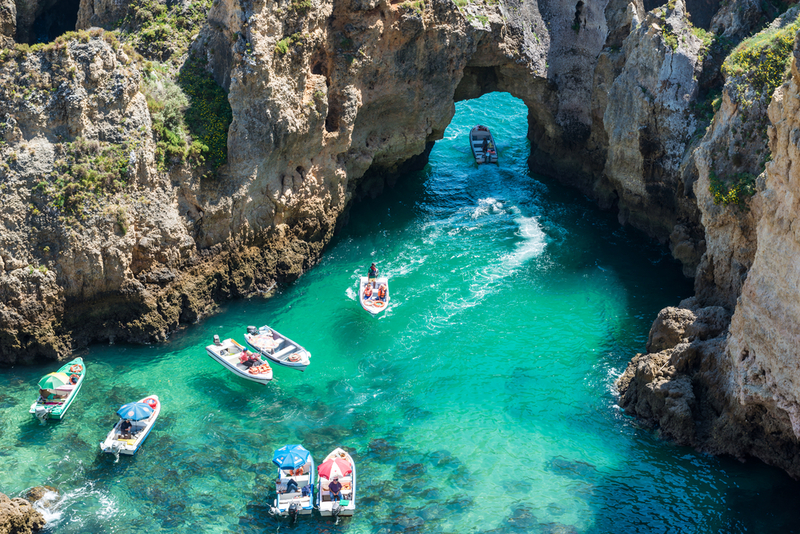 Located on the Atlantic coast, Portugal’s warm climate attracts more and more tourists each year. Just think about the old wooden trams and iron funiculars that run through the cities of Lisbon and Porto, and you’ll immediately get the feel of a bygone heritage. Medieval touch, modern city buzz, and amazing church structures is what makes Portugal a must visit at any time. There are a lot of bars, restaurants and cafes located along the seaside which give you a feeling of the local life. Portugal is also well-known for its national drink port (or porto) which can be found everywhere around Portugal. The fortified wine is served at any bar and restaurant across Portugal. And what about freshly-baked pastel de natas? They are quite popular in Portugal, and Pasteis de Belém in Lisbon is probably one of the best and the busiest one when it comes to sweet and crisp tarts. Portugal has been regarded as the second best value for money destination in Europe… it offers the quality of Western Europe for Eastern European prices. So, a luxury stay in Portugal is still reasonably affordable.